Lydia Grace Finch brings a suitcase full of seeds to the big gray city, where she goes to stay with her Uncle Jim, a cantankerous baker. There she initiates a gradual transformation, bit by bit brightening the shop and bringing smiles to customers' faces with the flowers she grows. But it is in a secret place that Lydia Grace works on her masterpiece -- an ambitious rooftop garden -- which she hopes will make even Uncle Jim smile. Sarah Stewart introduces readers to an engaging and determined young heroine, whose story is told through letters written home, while David Small's illustrations beautifully evoke the Depression-era setting. For more Mighty Girl books about gardening and springtime, visit our feature on the Top Children's Books for Celebrating Spring. 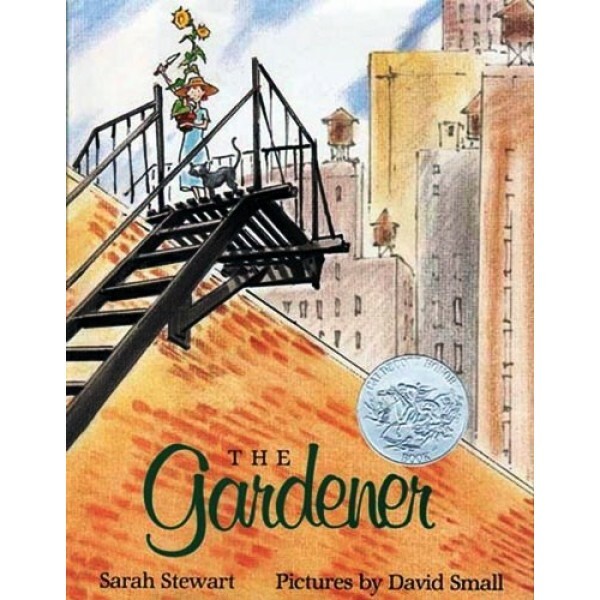 Husband and wife duo Sarah Stewart and David Small have worked together on several picture books, including The Friend , The Money Tree , and The Library . 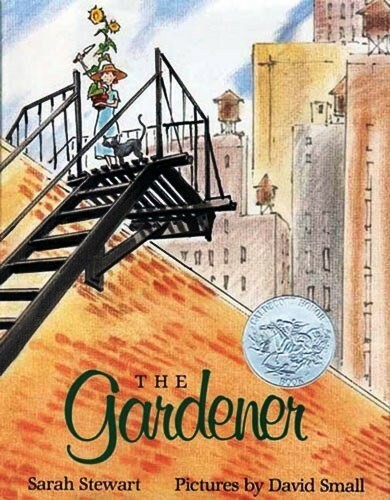 The Gardener is a Caldecott Honor book. Small has also illustrated other books, including the 2001 Caldecott Medal winner So You Want to Be President?, by Judith St. George.